Excerpts of press articles about Pizzicato. 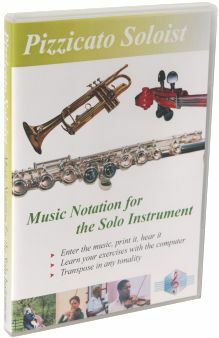 "Starting from handwritten scores, exercises to copy, scores to transcribe or starting from your own musical ideas, you will be able to print your own music fast and easy with a professional look." 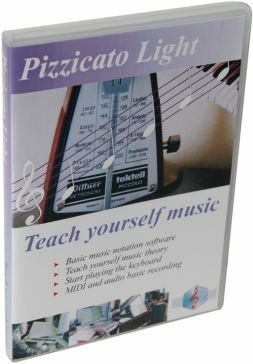 "Published in three versions (Light, Beginner and Professional), this software helps you to learn music, to make easily your first steps with the musical keyboard and to be familiarized with the basic tools to write a score"
"Pizzicato is precisely the software which allows - to the specialists as well as the beginner - to fix on a paper the works which will perhaps make the fortune of their descendants." "The program, born in 1993, offers today a second version in which various modifications have been made, offering more comfort to the users. No matter whether they are professionals or beginners! 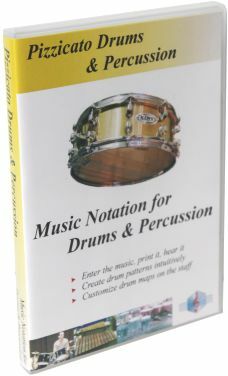 They will find in this program the advantages of both the sequencer and the score editor, as well for the approach of a musician who plays by ear as for a musician trained with musical notation." 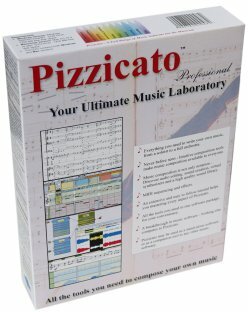 "Pizzicato is a Midi software for computer musical training. 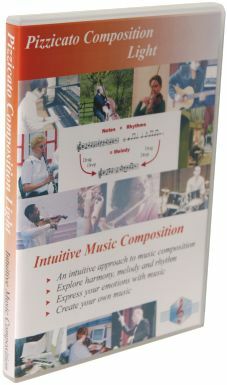 Many practical and theoretical exercises make it a complete and progressive method which also approaches the essence of Computer Assisted Music without preliminary knowledge." 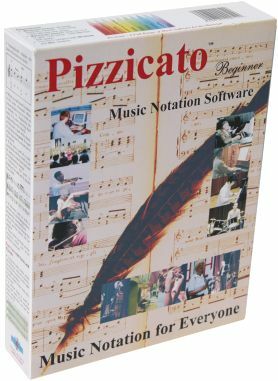 "Pizzicato will let you write music, as on a sheet of paper. Here, the pencil is replaced by the mouse. Connected to a sound module, the computer will play the score, performing the nuances, the tempos wanted by the composer, without him doing anything else than writing them. 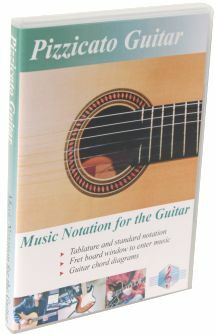 It is thus a real musical home studio that the musician, professional or beginner, will discover without difficulty." 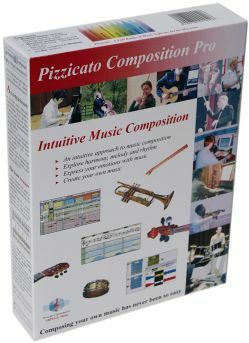 "With this integrated software on PC, you will be able to practise score writing, MIDI recording, accompaniment (delivered with 20 light music styles: jazz, rock'n'roll, slow, reggae, funky, etc), and to compose music"
"The idea is to allow anyone - even the one who has never seen a computer in his life or who ignores what a note is - to become a musician without difficulty." 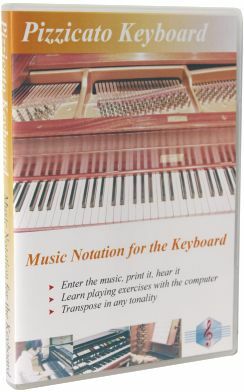 "The very detailed instruction manual guides the apprentice musician step by step to learn music and computer at the same time. 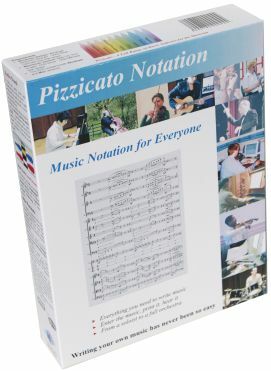 But if you are already acquainted to it, if music does not have any secrets for you any more and if your goal is to write or hear your scores (Gregorian to contemporary, classical to hard rock), the design of the important manual allows everybody to navigate throught it according to his/her needs, from the beginner to the professional." 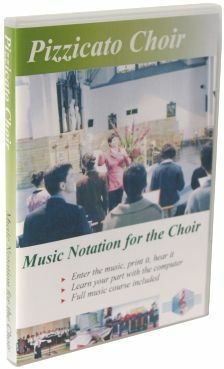 "The accompanying manual is - once is not always! - well and clearly written. You can follow the method step by step, without any risks to be mislead."